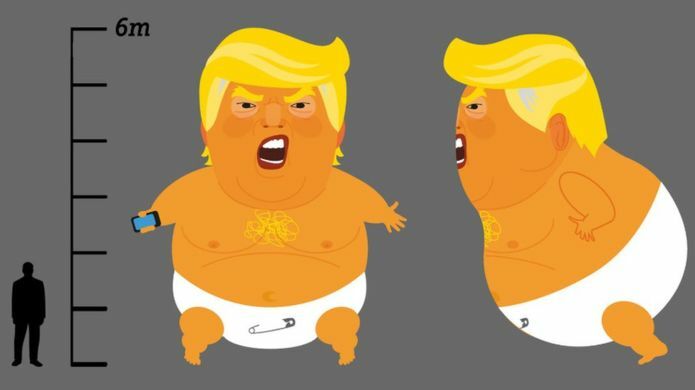 Protestors have had plans approved to fly a giant inflatable depicting Donald Trump as a baby over London during the US president’s visit. 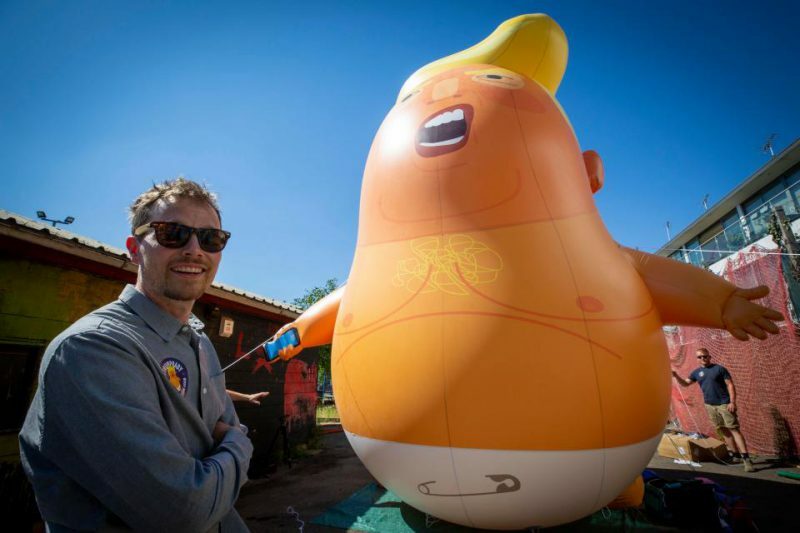 Campaigners raised £18,000 for the helium-filled 20ft high figure, which they said reflects Mr Trump’s character as an “angry baby with a fragile ego and tiny hands”. 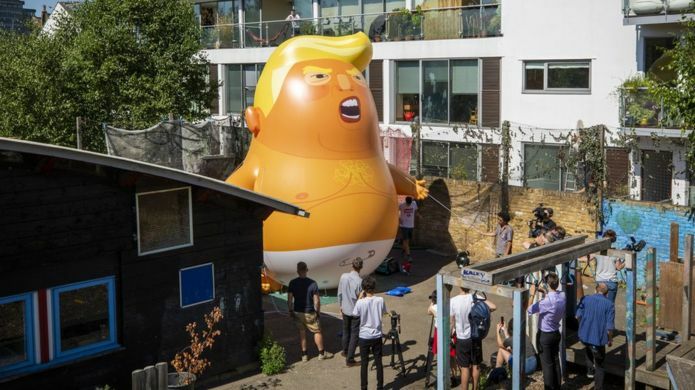 London mayor Sadiq Khan bowed to a petition of 10,000 signatures to allow the balloon to fly over central London on July 13. 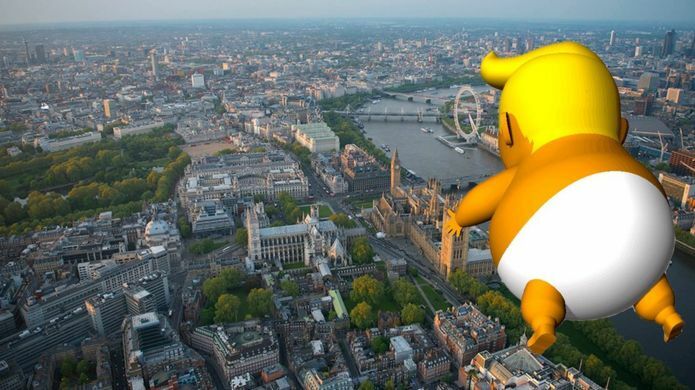 According to Sky – strict rules are in place for the flight from Westminster, with the balloon being tethered to the ground and restricted from floating higher than 30m (98ft). 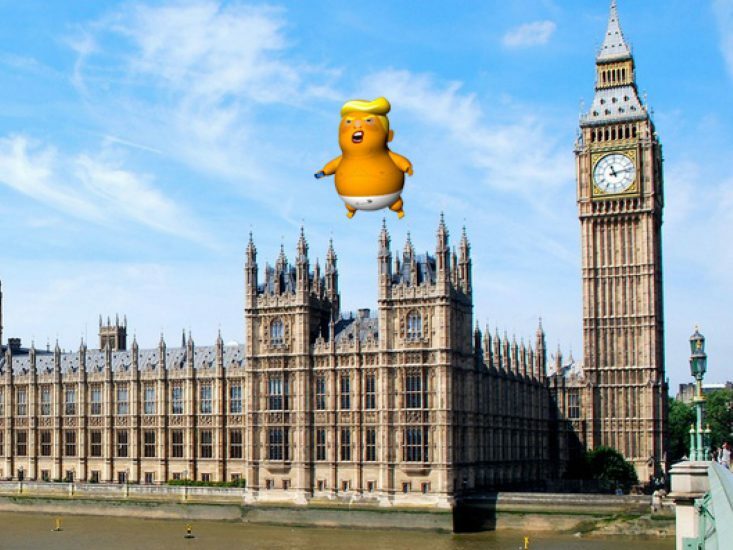 Mr Khan’s city operations team gave them permission to use Parliament Square Garden as a grounding point for the blimp. Leo Murray is the grandson of late Labour politician Anthony Greenwood and once scaled the roof of the House of Commons to protest against the expansion of Heathrow, the Daily Mail reports. A statement on behalf of the London mayor said he “supports the right to peaceful protest and understands that this can take many different forms”.